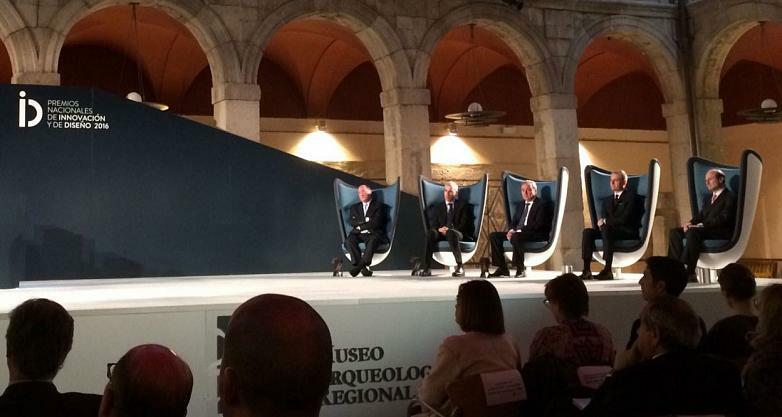 The King and Queen of Spain, King Felipe VI and Queen Letizia, have presided over the ceremony at the National Innovation and Design Awards 2016, accompanied by Secretary of State for Research, Development and Innovation, Carmen Vela, celebrated in the cloister of the Regional Archaeological Museum of the Community of Madrid, in Alcalá de Henares. 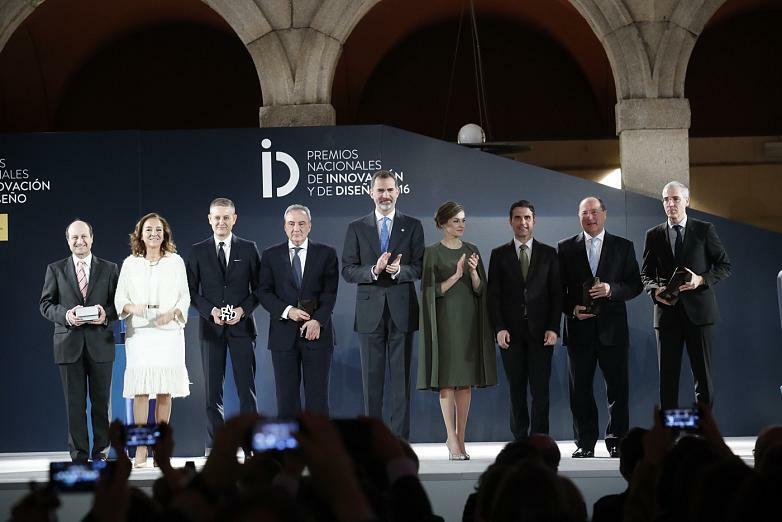 The National Innovation and Design Awards given by the Ministry of Economy, Industry and Competitiveness, are the highest regarded awards in Spain as recognition to businesses and professionals who have positioned themselves as creators of wealth, innovation and economic and social development in the country, in some cases in the design field and others in innovation. 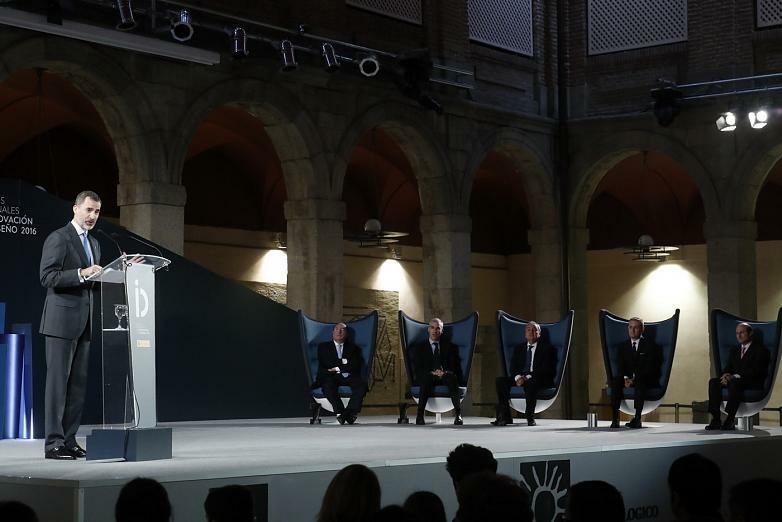 As Felipe VI pointed out in his speech, “investment in design or innovation currently means the strategic difference for the development of a country and it is therefore important to praise and support its principal agents”. This year, the award winners in the category of Design have been Mario Ruiz Rubio in the category of Professionals, and the Barcelona company Simón in the category of Companies. Mario Ruiz, born in Alicante in 1965, created the studio Costa Design in 1995 focused on design and industrial and technological product development. In 2004, he started Mario Ruiz Design, aimed at the development of furniture, lighting, office and graphic design projects, which merged with Costa Design four years later. The panel recognised has highlighted “his timeless and everlasting style, such as his international reach with a recognised prestigious identity in the design sector both within and outside of Spain”. The panel recognised his career as “brilliant and strong”. Simon, has been awarded in the Companies category. 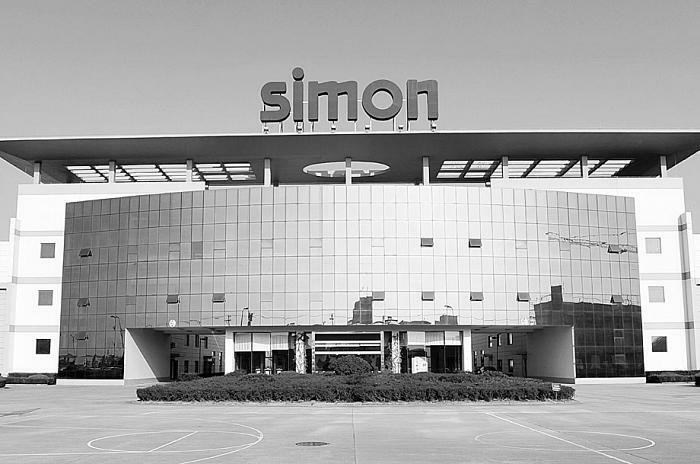 Simon, works in the commercialisation of low-voltage electrical material, electronics and interior lighting. It began as a small workshop in Olot in 1916 and continues to be run by the Simón family and a workforce of 4000 workers. As Salvi Plaja, Director of Design for the company, points out, “our priority is not to make design products but products well designed”. The Ministry has highlighted their “long business record and large international reach, making design and innovation a constant business strategy”. Innovation and Design play a fundamental role in productivity and competitiveness in the economy. An importance that is key in a country such as Spain, as it is needed to drive and develop joint policies between government, design centres and businesses where design acts as a distinguishing and boosting element that contributes to the promotion and prestige of the Spain brand. 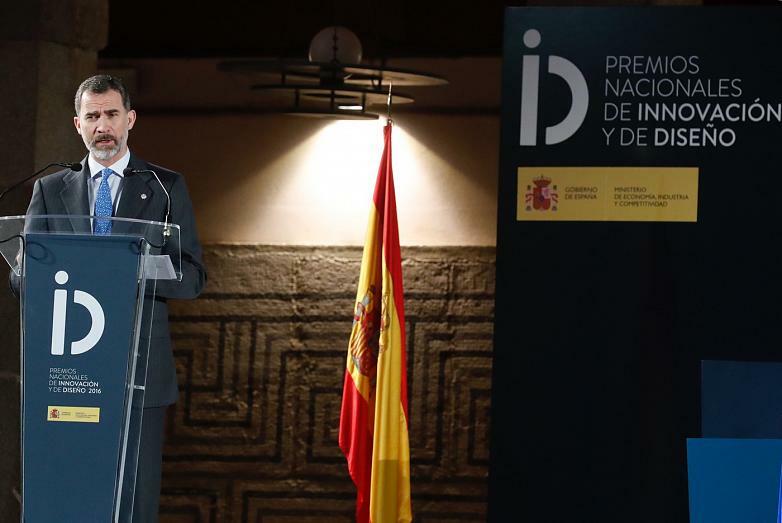 During his speech, Felipe VI insisted on the necessity of innovation that Spain has in such a globalised world to avoid the loss of “initiative, leading and competitive capacity”, a country that does not innovate, he stressed, “stays, in the best of cases, dragging behind or at the mercy of others”. The King highlighted “the vital importance” of bringing the added value of “aesthetics, effectiveness and efficiency of any object, process or organisation”. The award winners in Innovation have been recognised including Carlos Moro for his Innovative Career, introducing innovative processes in the wine industry respecting the environment, sustainability and using Research, Design and Innovation as a key competitive strategy. 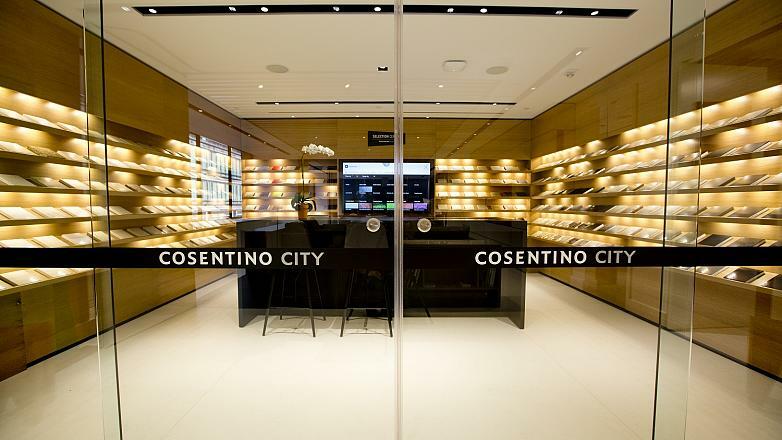 Innovation in the Internationalisation category was awarded to Cosentino, for transforming the quarry sector through the introduction of innovative processes that produced a completely new category of products worldwide. In the category of Innovative Public Procurement, Axencia Galega de Innovación for favourable conditions in the development of experimental aerospace activities and for the strategic nature in developing unmanned aerial systems. he staging of the event has been designed and managed by Noviembre Estudio, a multidisciplinary design team with numerous recognitions and distinctions from the world of interior spaces, such as product design. Noviembre Estudio has based the stage design on the concepts of colour, light and hospitality, looking to match the essence of these awards. Innovation, technology, design and cutting-edge. They have designed, through the space and the product, an elegant welcome for officials, award winners and the public for the most important national event in design. Susana Sancho and Vicente Porres, from Noviembre Estudio. Presiding a part of the stage and as an important element, five Badminton armchairs from Actiu welcomed the award winners. Badminton, designed by Javier Cuñado, from ITEM DesignWorks represents the great commitment to sophistication, reflected in a striking piece with completely innovative design and architecture.